This is one that’s been on my radar for a while. 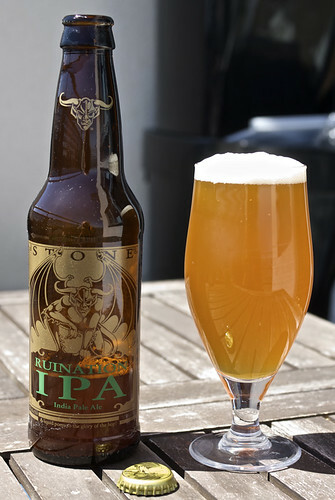 I’m a big fan of hoppy beer, having worked my way up through golden summer ales to hoppy British IPAs and then on to the more extreme US craft beer stakes, and also a fan of experimentation and novelty ales, so Stone Ruination IPA ticks a bunch of boxes for me. Coming in at over 100 IBUs, and thus into the realms of the unknown, it’s about as hoppy a beer as you can find on the market (even beating Brewdog and their love of having records) and thus definitely sitting on my list. The Rake at Borough Market maintain a twitter feed on which they post what beers are on each day. This is excellent, as it shows me if there’s anything interesting I’m after, and terrifying, as I am a stupidly compulsive person who will travel across most of London (as long as it’s near the tube) to grab a taste of some booze that I’ve been looking for. So when I saw them announce that they had Ruination on tap, having been out of town on the other occasions I saw it pop up on the feed, I jumped on a bus and head London Bridge-wards to have a taste. At over £3 a third it’s not one that you’re going to be drinking all night, and that’s before you get a taste of it. It’s quite a murky beer, with an orange bronze tint and the nose powerfully hoppy – like sticking your head through an attic hatch into a dry hop store on a hot day – floral but heavy and bitter. To taste it is a combination of every type of hope I can think of – purely bitter hops, dry hops, concentrated hop pellets, wet hops and hops growing in a field. 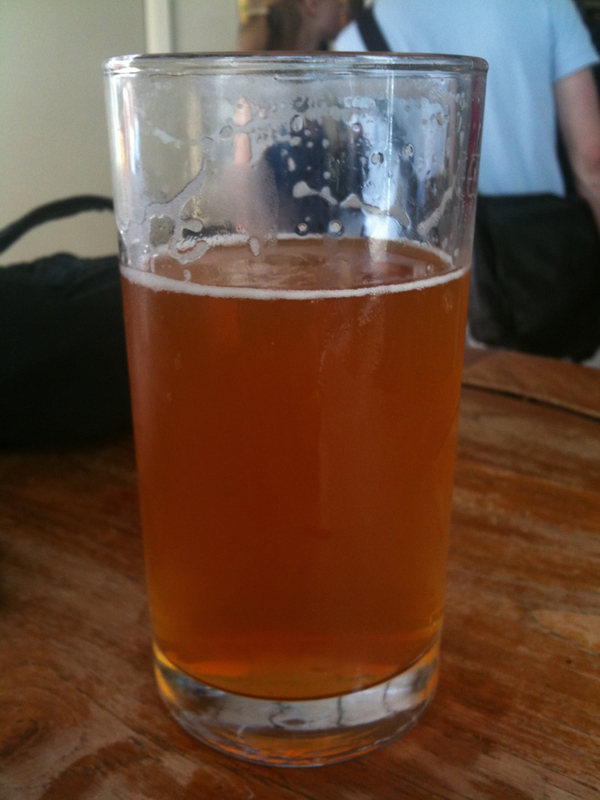 It finished with more hops and little else – there is one category of flavour in this beer and it is the hop. At 7.7% it has a bit of a kick and combined with the over the top bitterness this isn’t one that you can drink much of – after 1/4 of a pint I had a pain behind my right eye, after a half I’d decided that I’d had enough. I then of course ran straight around the corner to Utobeer and bought a bottle to take home. In the bottle it looks the same but is a little bit different. The nose is similar, although not quite so flabby, becoming a smaller hop store with fresher hops, but the taste isn’t quite so varied across the range of hops as on draft. 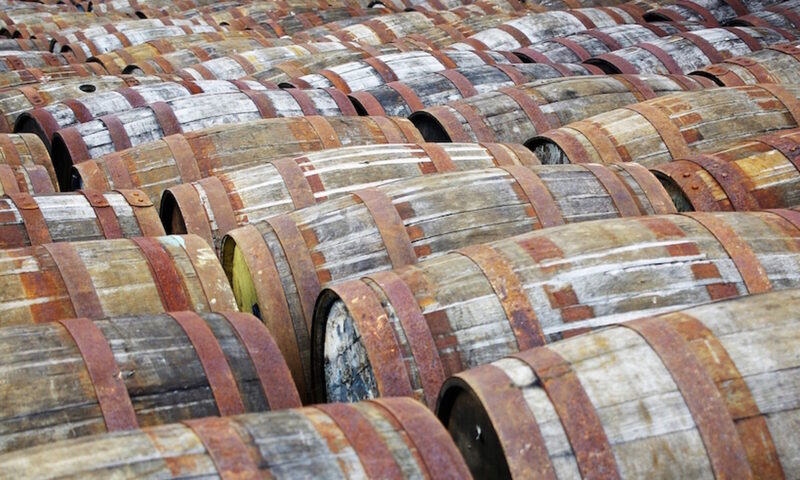 It has a coherent and pure citrusy flavour, with a hint of mustiness, running right through the middle of the palate and dropping off to a mushy bitter ending with a touch of malty sweetness and bitter orange. It feels more restrained and less like a novelty beer, and while by the end of the bottle your palate is still shot, it’s also quite refreshing. The tap version is something to be tried at least once, although probably not more than once, but the bottled version is actually something really quite nice. You need to like hops but if you do then it is, as it says on the bottle, a liquid poem to their glory. Thanks for the link to The Rake’s blog! Glad you enjoyed the Ruination. Certainly one of my favourite beers at the moment, I was lucky enough to drink some in California recently and it was top notch!